Designing the Decades, a new four part series for BBC TWO, revisits the nation’s design heritage, from the 1960s to the 1990s, and takes a journey through forty years of iconic architecture, interiors, fashion and design. 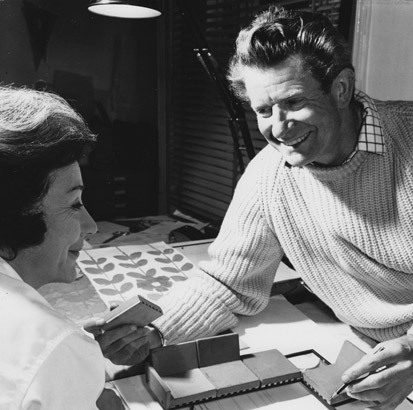 From the Mini to the Dyson; the Post Office Tower to Waterloo’s Eurostar terminal; Laura Ashley to IKEA and the waterbed to the Filofax, the programme charts the designs – both popular and classic – that encapsulated the spirit of each decade. Designing the Decades remembers some of the best British and international designs which have achieved success on the British market, such as Robin Day’s best-selling stacking chair, Mary Quant’s mini-skirt, Barbara Hulanickii’s Biba, Clive Sinclair’s calculator, Richard Roger’s Lloyds building, the Paul Smith suit, the Dyson vacuum cleaner and the IMAC. The series also explores how design icons reflect the aspirations and ideals of each decade. The series follows the career progression of and features interviews with some of Britain’s most enduring designers including Norman Foster, Richard Rogers, Terence Conran, Robin Day, James Dyson and Paul Smith. And consumers, historians, critics and fans share their personal recollections of the trends that changed the face of their homes and lives. The programme reveals the story behind cult car the Mini; interviews Robin Day about his ubiquitous stacking chair – 40 million have been manufactured – still found in church halls, dole queues and Botswana canoes; and discovers why a controversial new fashion, the mini-skirt, actually changed tax regulation. Designing the Decades was broadcast in March 2003 on BBC TWO.